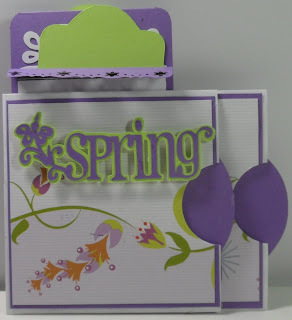 Girlia's Cards: It's all about Spring or Easter! I want to tell you that I am starting my first mini album (something new for me). I am not into the distressing inks (Even though I have seen many amazing projects with them) or the shabby chic look. Anyway here is the first page of the four seasons mini. 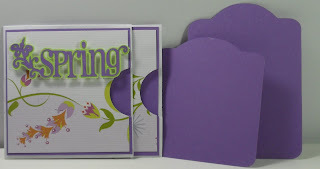 Over at Celebrate the Occasion we were challenged to prepare a project that represents either Easter or Spring with one stipulation***You must use a punch***. 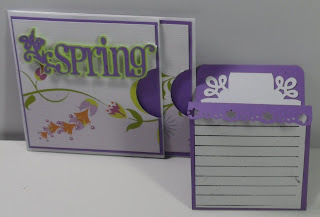 I am looking forward to Spring; I can hardly wait for warmer weather. So be sure to link your project up this week at CTO. We would love to see what is your interpretation. Comments are welcome. Enjoy and as always GOD Bless! This is amazing! You did a great job! I love it! I nominated u for an award so stop by to pick it up! This turned out great! Nice punch! THis is gorgeous! I can't wait to see the rest! Just perfect!! 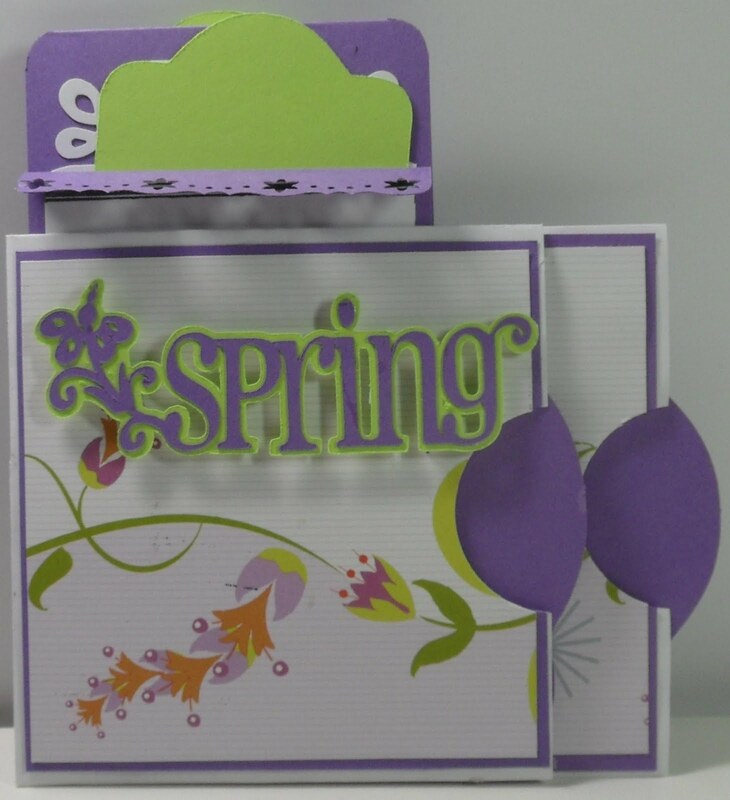 I love spring too! You make the best cards. Keep up the great work. So very pretty love the colors! Love the colors! Can't wait for the warmer weather too - it IS spring already isn't it?! 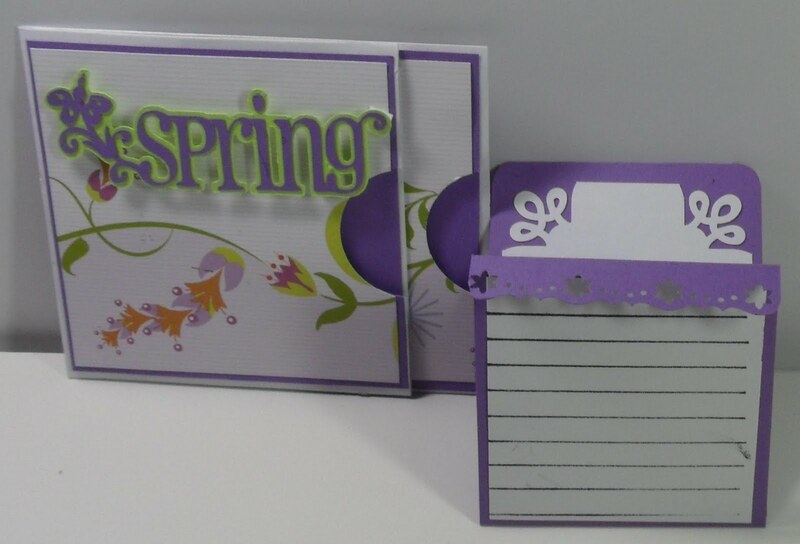 Such pretty colors...love the greens and purples for spring! TFS! those colors are so pretty I love it. This is so neat! I have an award for you my friend! I love it! The colors used are great. Nice mini album and such great colors. Love the purple. Thanks for sharing! I love your blog. Every time I stop by your blog you bring me tons of inspiration so I nominated you for a blog award. You can find it on my blog. Love, love, love it! And you are welcome for the award you def. deserve it and thank you for always taking the time to comment on my work it really makes me feel good! Love it! The purple makes it so vibrant. Well done on trying your first min book. This is beautiful! I had to stop by and check out the details! I love the colors! It has so much to see! You did a great job on this! Thanks for sharing an great project for this challenge!